According to the ways of the Buddhas and Bodhisattvas, there is a method or a way where we can focus on accumulations and dedicate them, aiming them towards something that is timeless, towards something that is immeasurable, towards something that is almost unlimited in terms of its benefit. 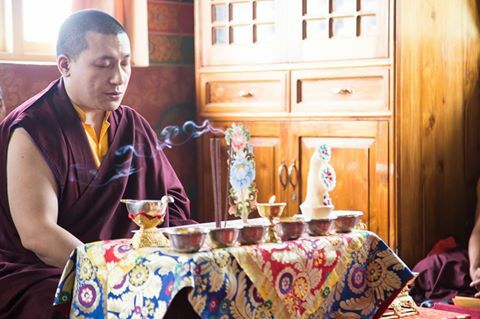 And that method would be none other than using or directing our mind towards what is known as ‘changchub sem’ in Tibetan or ‘bodhicitta’ in Sanskrit, the English translation of which is ‘enlightened mind’, or the generating of our own mind towards enlightened phenomena. We have the power and choice to journey on the path of a Bodhisattva. We can not control all of the conflict in our world, but we can control our response to it. We can help ensure that we do not create more harm, we do not cause more commotion, but instead prepare for peace by letting go of grasping, by keeping the mind calm and tapping into the eternal pool of compassion and wisdom that lies within all of us. For it is within this pool, this Inner Wealth, that lies the source of peace.